When we were invited to industry night for STLFW and told it was cocktail attire, I immediately started thinking of the dresses I could wear. I realized that dresses are my go-to for everything and I decided I should try to mix it up a bit. 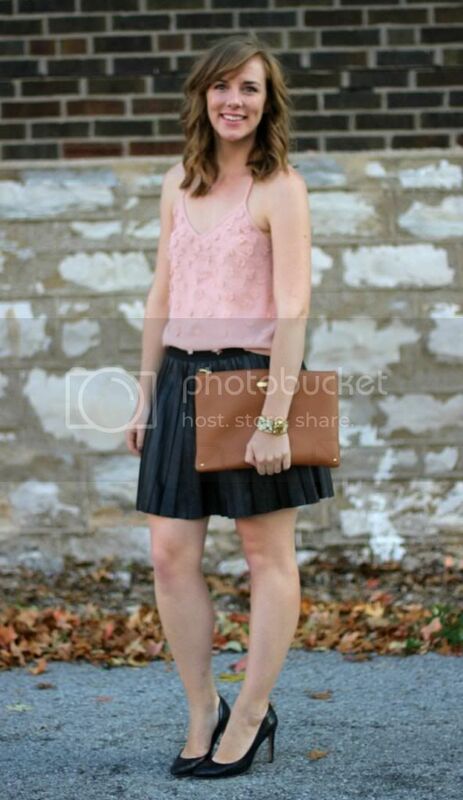 I ended up opting for the blouse/leather skirt combo below. I kept the accessories simple to let the leather and the floral detail do all the statement-making. More night photos to follow (the shows were ah-mazing!!)! 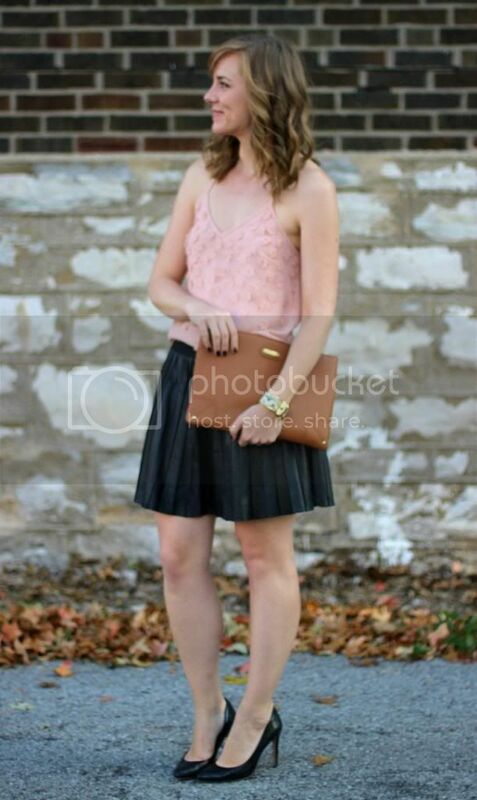 Oooh, I've been trying to think of new ways to wear my leather skater skirt, and a textured tank is a great addition! Such a cute outfit. 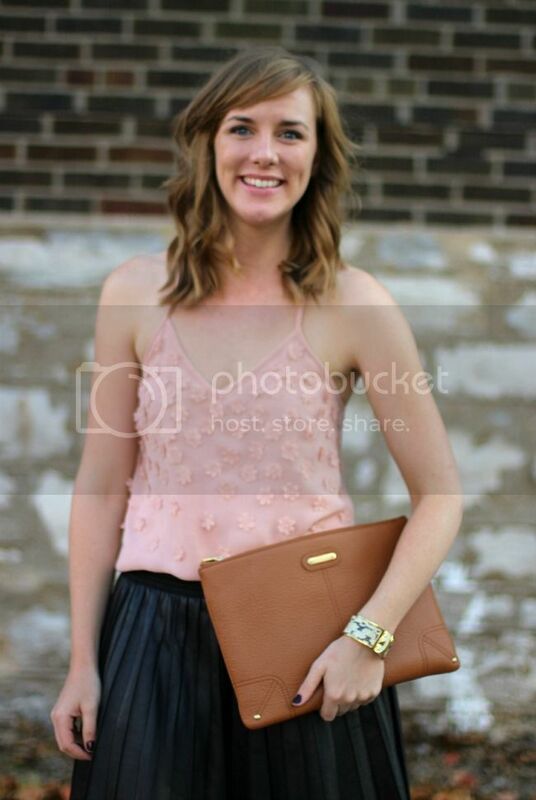 PS, it was so rad seeing you at STLFW again this season! loved this top! miss you!